When most people think of Saint Patrick’s Day wine doesn’t enter into the picture. In NYC, towering walls of kegs are stacked and ready to wash down thousands of pounds of corned beef, cabbage and countless sandwiches prepared for hungry throngs of parade goers. In fact a survey done last year reported the popular Irish brand Guinness sold a whopping 3.5 million pints while the American brewer Sam Adams showed a 13.5 percent increase in sales on March 17th, 2012! 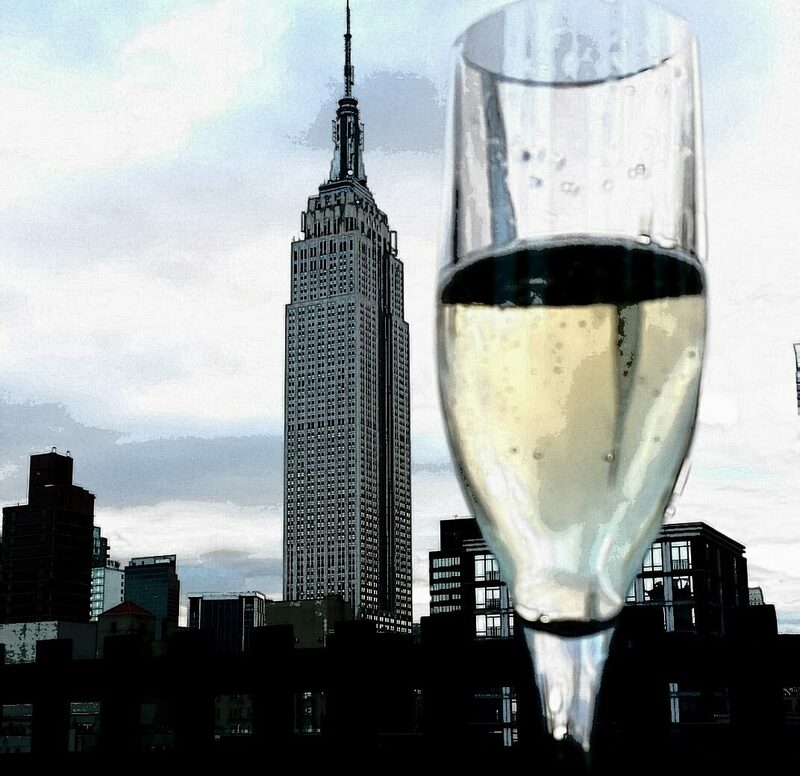 So why think of drinking Riesling on St. Patrick’s Day? Many are deliciously dry and full of juicy ripe fruit flavor, the perfect pairing for your Saint Patrick’s Day celebration. 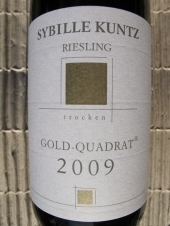 Have you been led to believe that all Rieslings are sweet uninteresting wines? NOT TRUE! In fact this wonderful white grape is the favorite of many sommeliers. 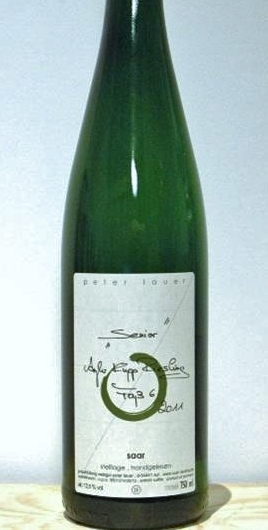 Think of how well Riesling pairs with salty meats, pickled things, sauerkraut and smoked pork. 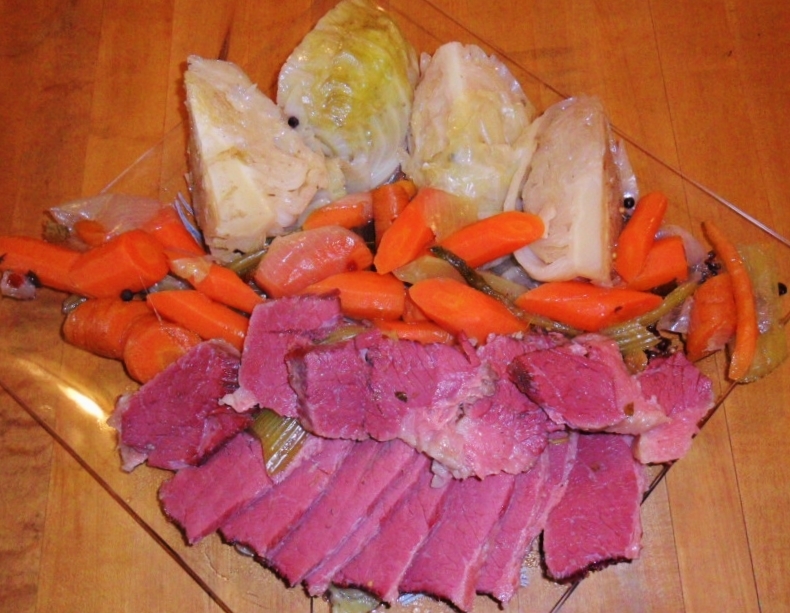 Corned beef is cured in many of the same spices used to cook sauerkraut in many regions of Germany. The spicy peppercorns, coriander seeds, allspice and clove used to cure corned beef are the perfect flavors to play off of the beautiful fruit contained in a dry Riesling. Cabbage cooked in the same juices as the meat pick up a spicy, cured flavor that pairs well with a wine that has apple and rich citrus flavors, enter Riesling! Crusty rye bread, studded with savory caraway seeds is often served along with a plate of corned beef or used to make a sandwich dressed with spicy mustard. I’m not talking about the tasteless rye bread available in grocery stores but the real dense and rustic rye served with Riesling in Alsace, Germany and Austria. Sure they may top it with liverwurst, schmaltz or silky, smoked whitefish but the fatty corned beef serves as the same concept when combined with the hearty bread, it needs an acidic wine to cut the richness. Last year I cured my own corned beef (scroll down for recipe) along with many bloggers participating in #charcutepalooza and tried endless variations of pairing with friends. Riesling won out on all counts against a number of wines sampled! Try it you’ll like it! Please let me know if you find other Riesling that you enjoy with your own feast, below are my favorite picks. 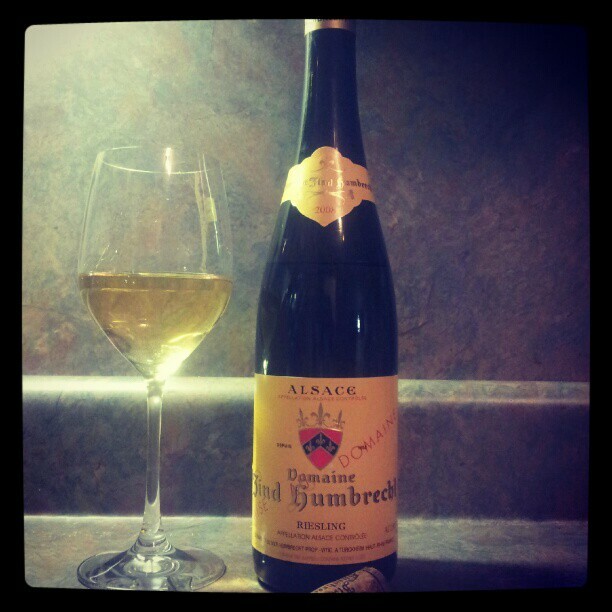 4 Riesling wines I recommend to serve with your own Saint Patrick’s Day Feast ! 4 tablespoons pickling spice- use this mixture 2 tablespoons black peppercorns, 2 tablespoons mustard seeds, 2 tablespoons coriander seeds, 2 tablespoons hot red pepper flakes, 2 tablespoons allspice berries, 1 tablespoon ground mace, 2 small cinnamon sticks crushed or broken into pieces, 24 bay leaves crumbled, 2 tablespoons whole cloves, 1 tablespoon ground ginger. 1. Combine peppercorns, mustard seeds and coriander seeds in a small dry pan. Place over medium heat and stir until fragrant, being careful not to burn them; keep lid handy in case seeds pop. Crack peppercorns and seeds in mortar and pestle or with the side of a knife on cutting board. 2. Combine with other spices, mix. Store in tightly sealed plastic or glass container. Yield: 1 cup. Remove brisket from brine and rinse thoroughly. Place meat in a pot large enough to hold it with additional room for veggies later. Cover with water and add remaining pickling spice, onion, orange, vinegar , garlic and celery. Bring to a boil over high heat, reduce heat to low and cover. Add cabbage and potatoes after 2 hrs.Simmer gently until brisket is fork-tender, about 3 hours in all, adding water if needed to cover brisket. Keep warm until ready to serve. Meat can be refrigerated for several days in cooking liquid. Reheat in the liquid or serve chilled. Slice thinly against grain and serve with cabbage, potatoes and carrots.